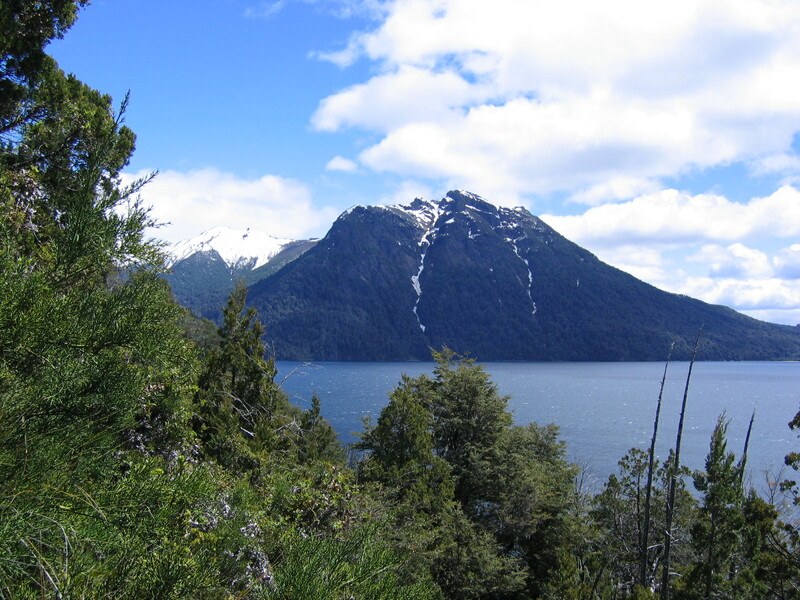 The Argentine lakes district is a tourism haven, stretching from Junin de los Andes in the north to the town of Esquel down south bordering Patagonia. It is beautiful territory awash with snow-capped jagged peaks, lush green forests, trout-filled rivers, and lots and lots of brilliantly blue lakes. 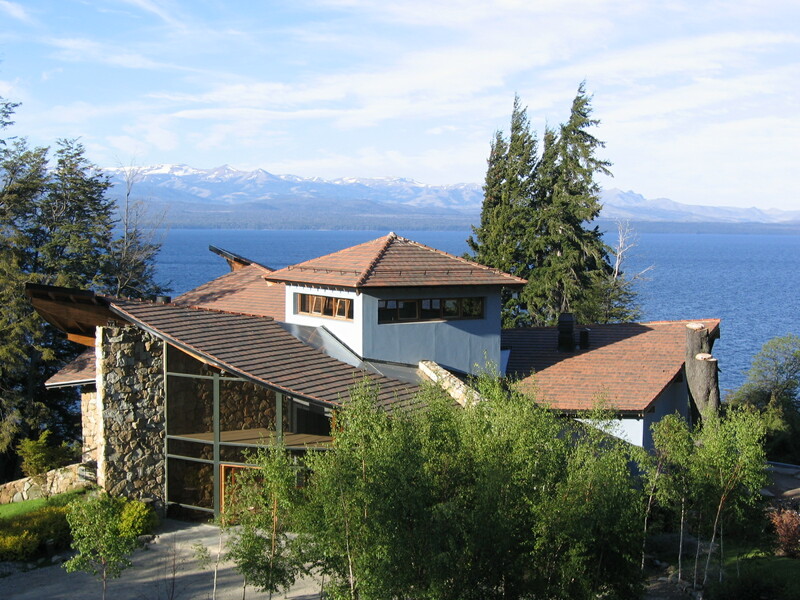 One could spend a full week or two just in this area checking out the beautiful towns and villages surrounding the Chilean and Argentine Lakes District. It offers something for everyone year-round: From hiking, golfing, fishing, and sailing to skiing and of course, world-class dining. 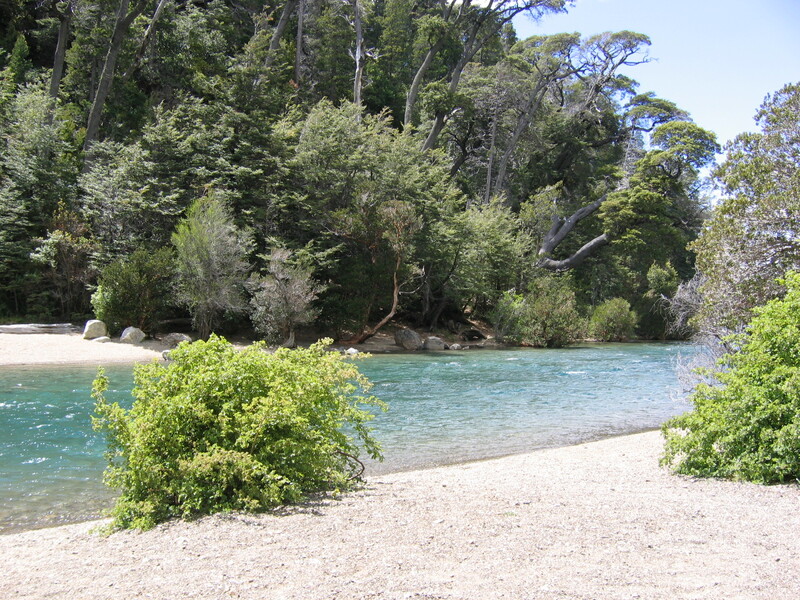 If you have the time, you can take a boat through the lakes region hitting towns in both Argentina and Chile. We of course only had five full days to explore. We were traveling once again, “American-style” meaning trying to pack as much in as possible within a short time frame. Now this is not the recommended way to travel or the desired method either: It is the kind of travel you do when you either don’t have much vacation time (in my opinion, most Americans fit into this category) or have a wonderful mother who has offered to fly into town and watch my one-year-old and three-year-old children for me while my husband is slaving away all day at the office to pay the bills. Bottom line: Beggars can’t be choosers. I felt rather fortunate to be going to Argentina while my other mom friends were busy changing diapers. It was a much-needed break from my day-to-day life of spending 24/7 taking care of two small children. I was going to enjoy every moment of it! Eating meals without scarfing it down in five minutes flat. Sleeping in past 5 am. Wait….sleeping all night long without being woken up by a crying child. Bonus! Taking a shower in peace. Reading a book. Talking to adults. Hmmm…there is a lot I hadn’t been doing recently that I realized I truly was missing in my life. 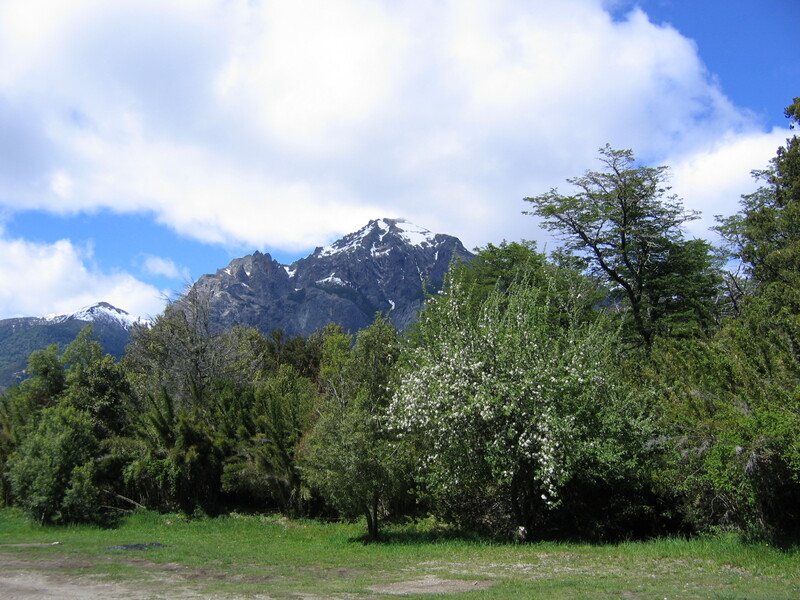 Five days in San Carlos de Bariloche (or simply called Bariloche) was bound to save my withering, sleep-deprived, over-worked diaper-changing soul. We arrived in Bariloche mid-afternoon after two hour flight from Buenos Aires. 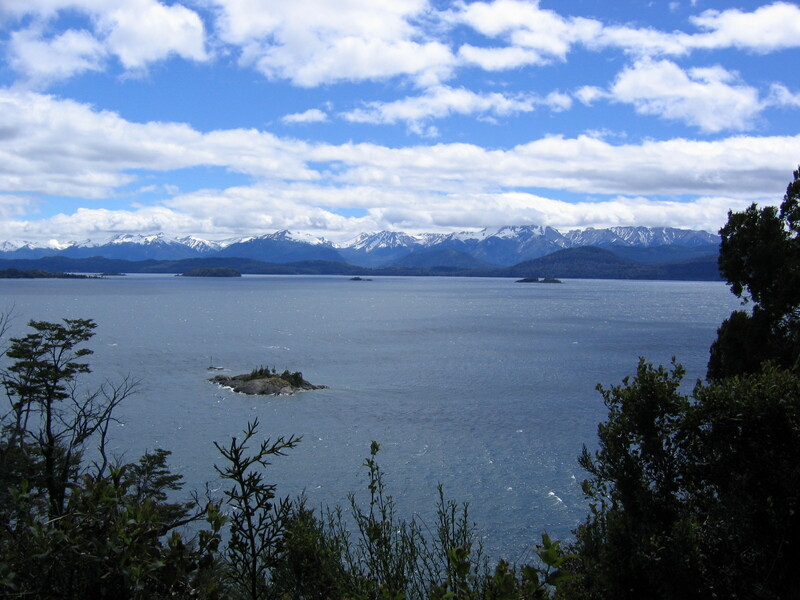 San Carlos de Bariloche is the second most visited place in Argentina mostly due to its gorgeous location surrounding the Nahuel Huapi National Park which provides a nature lover and outdoor adventurer’s paradise. 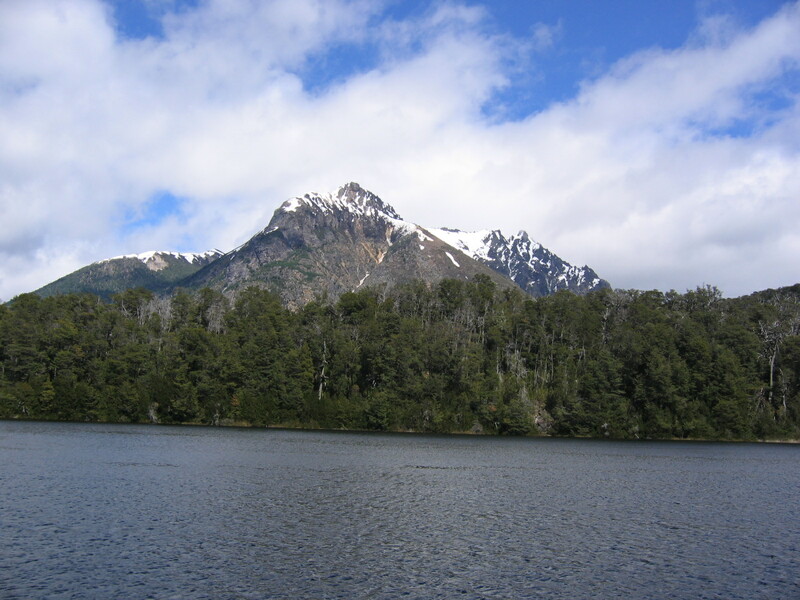 It is not a large town yet has all the dining and adventures possible to keep the tourists and Argentine’s alike happy. We took a cab the short ten-minute ride to town which is non-eventful except for its beautiful location next to stunning Nahuel Huapi lake, a gem in itself. We had booked a hotel at the Design Suites thanks to the recommendation of one of our friends. The hotel was a short distance from town yet the views of the lake and glistening snow-capped mountains was breathtaking and worth the walk. After checking into our hotel, we decided to check out the town and scope our dining selection for the night. For such a small city, Bariloche has surprisingly excellent restaurants. We ate to our hearts content each and every night of our stay. The first night, we ate at a Swiss Fondue restaurant called Familia Weiss, a family owned restaurant that is known throughout the area for its delightful array of cheeses and smoked meats. The German Swiss decor reminded me of being right back in Switzerland and the food was unbelievably authentic. We ate the entire pot of cheese fondue stuffing ourselves silly while ignoring the tremendous amount of fat we had just put into our body. We were on vacation right? We’d work it off! 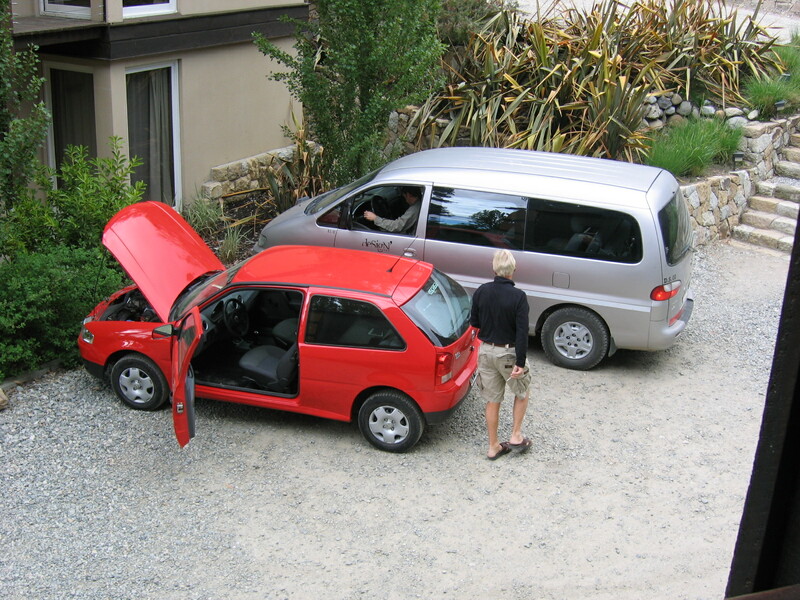 The next morning, feeling incredibly full from our highly saturated fatty meal, we rented a car to go do some hiking. The car was delivered right to our hotel but to our dismay it didn’t work! Luckily one of the friendly Design Suites staff was able to give us a jump-start and set us on our way. I’d noticed that Argentina has its far share of broken down cars that littered the streets everywhere. I didn’t want to become one of the numbers! 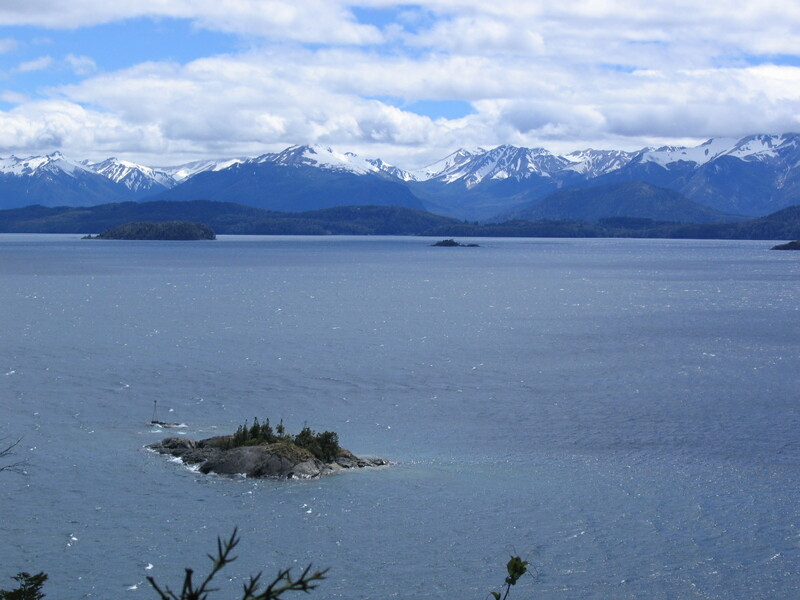 “The park is known for the glacial-formed Lake Nahuel Huapi and its lovely forested peninsulas and waterways that often provoke comparison to the channels of southern Patagonia or the fjords of Norway”. 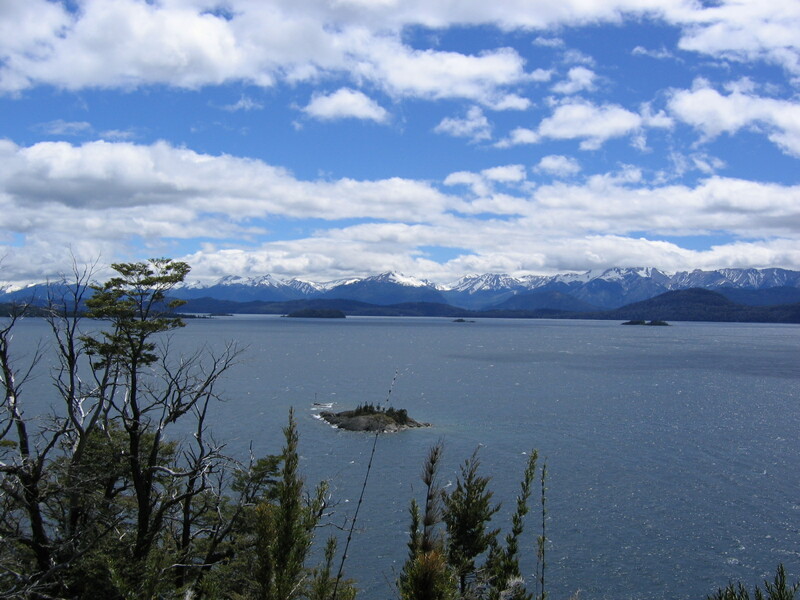 After visiting Chile’s world-famous Torres del Paine National Park in 2003, I couldn’t wait to see Nahuel Huapi for myself. Would it be as spectacular as Torres del Paine, a place that made me fall in love with Patagonia and dream of coming back? It was indeed stunning and spectacularly beautiful yet nothing in comparison to the rugged, wild Patagonian Torres del Paine. I was disappointed for I was expecting Patagonia. 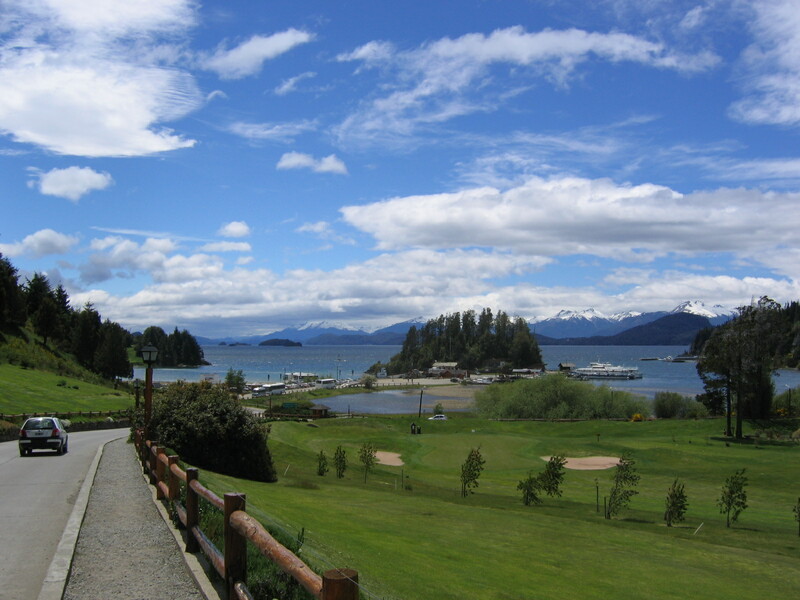 Yet Bariloche still had its beauty and charm. Just a different kind of beauty that was more tranquil, serene and fresh. 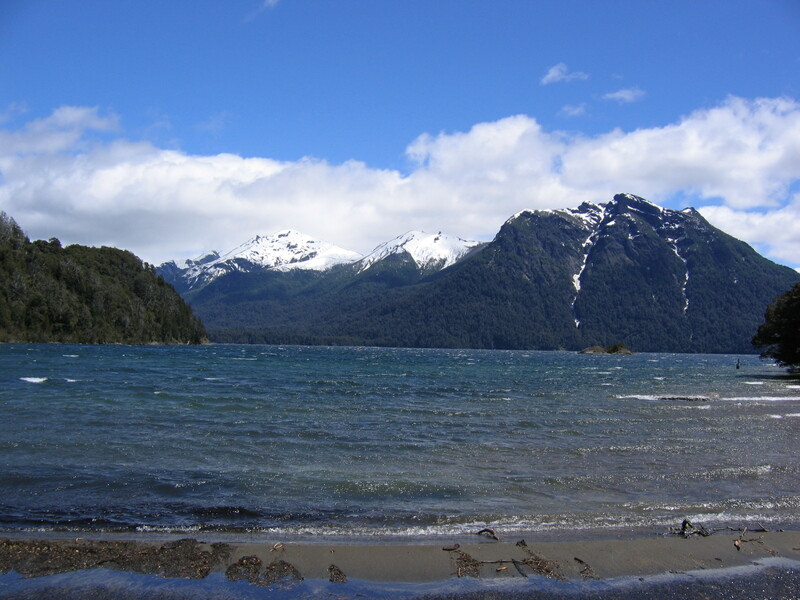 For those people who don’t want or have the energy to travel all the way south to Patagonia, Bariloche and the other towns of the Lakes District make a reasonable choice. The beauty will not disappoint, nor the amenities of having a town. 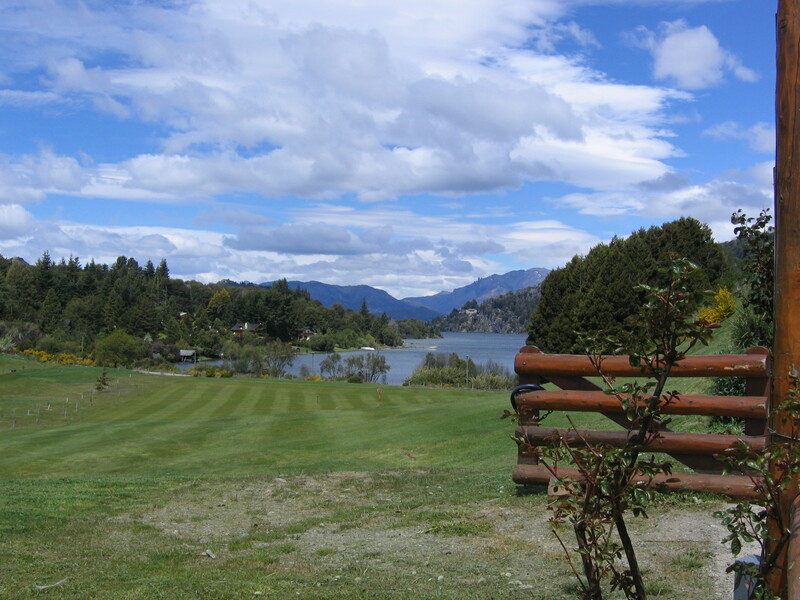 After our visit to the park, we drove to the finest five-star resort in Bariloche, the infamous Llao Llao (pronounced “jow jow”) hotel. It was stuffy yet spectacular in its own right with its wooden lodge styled resort and green golf courses. Worth a visit but not somewhere I’d want to stay. We headed back to our lovely, hip hotel and had some Argentine Malbec before heading out to our next dining adventure at a trendy, small restaurant called Kandahar. We were the first to arrive at 8:30 pm to blaring Pink Floyd and a server who offered to pay for our $50 bottle of wine if we didn’t like it. He was that confident and that right. The food was outstanding, shocking me that such a small city could have such an amazing dining scene. I couldn’t wait for tomorrow and even more so, tomorrow night’s meal! Stay tuned…next post will document our attempt to really get some serious exercise and follow the Argentine’s at doing the major hike in town. You are so right. Americans don’t get enough vacation time–especially compared to Europeans. But, gosh, what a stunningly beautiful place! Amazing! Can’t wait for the next installment! I remember when I was working and trying to cram in huge trips in only a week. Most Europeans or others I met thought I was nuts but asking for more than a week off was frowned upon. It is too bad. There is so much to be gained by traveling! Thanks for all your comments Kathy! I’ve been reading every post of yours (excellent by the way) but don’t always have the chance to comment. Usually one of the kids yells at me telling me I’ve been on the computer too much! Every one needs more vacation time! I’ve always worked where I can choose when I want to go on holiday, not when my employer tells me to. Life is short, get out and travel. Great post, awesome photos. Another gorgeous place you have shared with us. I love it. I can stay there forever….those lakes are just stretch and stretch of breathtaking beauty. The whole landscape is something to be marveled . I’m happy for you that you got to live your dreams of traveling. Stay bless and safe on your journeys.